Chicago area psychedelic garage rockers The Living Blue are scheduled to release their new LP, Walk, Talk, Rhythm, Roam, this Spring. 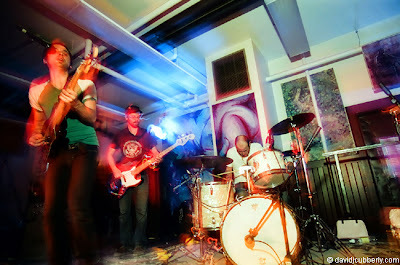 Originally known as The Blackouts, the band comes from Champaign, IL and frequently comes to the city to play shows. They released their first CD as The Living Blue, titled Fire, Blood, Water, back in 2005. That CD - with its loads of raw rock 'n' roll energy combined with plenty of psychedelic flair and melodic hooks - was one of my favorite releases of the year. 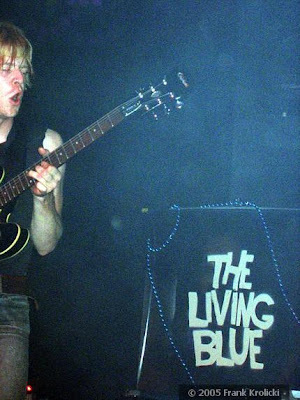 You can preview a few of the new songs at The Living Blue's MySpace page. Also check out the official Living Blue blog. Hopefully it won't be long before we have an official release date and can hear the album in full. 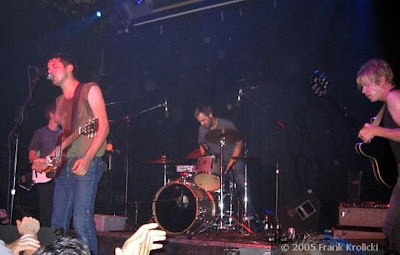 In the meantime, check out an interview I did with The Living Blue front man Steve Ucherek back in 2005, when the band was just about to release Fire, Blood, Water. 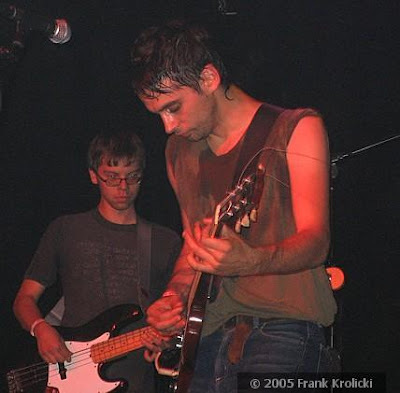 And here are a few shots I took on September 29, 2005 at the Fire, Blood, Water CD release show Highdive in Champaign. Hopefully I'll have the chance to take some new ones when The Living Blue hits local venues to promote Walk, Talk, Rhythm, Roam.